Since receiving her B.A. in Business Administration from the Olayan School of Business at the American University of Beirut (AUB), Dina Harake has experienced living in a multitude of different countries. Her exposure to diverse cultures and traditions during her 23 years abroad has enabled her to grasp a better understanding of the essentials necessary to the growth of a strong and prosperous society. Dina has also had extensive industry experience in human resource management, business development and entrepreneurship as well as community activism. She is the founder and Co-Owner of Well B, a restaurant dedicated to catering food and beverage specialties with an emphasis on wellness and nutritional balance. Mrs. Harake is also involved in noteworthy organisations as she currently serves on the Board of Trustees at the Beirut Marathon Association. She also figures as a prominent member of the Blessing and Tamanna Foundations. 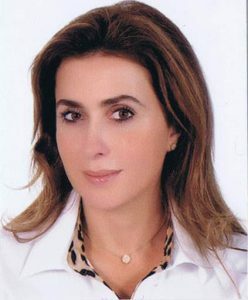 She is now the Executive Director of Global Compact Network Lebanon. Her goal is to contribute in balancing the needs of vulnerable demographics and to work with governments and organisations to deliver sustainable programs as effectively and efficiently as possible.